OBAX is a Nigerian firm with capability in the delivery of engineering, procurement, construction, installation and commissioning services in the oil and gas industry in Africa and other parts of the globe. OBAX played a major role in delivering technically-tasking services to the Oredo Integrated Gas Handling Facility (IGHF). 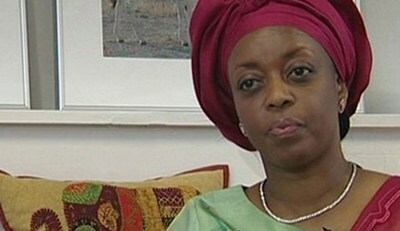 When the Minister of Petroleum Resources, Mrs. Diezani Alison-Madueke, recently praised the Nigerian Petroleum Development Company (NPDC), a subsidiary of the Nigerian National Petroleum Corporation (NNPC), describing it as the country’s major supplier of domestic gas, not many Nigerians knew that the NPDC achieved the feat through its collaborative efforts with a Nigerian indigenous oil services firm, OBAX. The facility, which is crucial for federal government’s gas-to-power initiative was recently inaugurated by Alison-Madueke. The minister while inaugurating NPDC’s Oredo IGHF had lauded NPDC for competing with multinational oil companies in the supply of gas to the domestic market for power generation and other uses. However, NPDC’s giant strides in crude oil production and the supply of gas to the domestic market were largely made possible by the technical expertise of this indigenous contractor, OBAX. The Oredo gas project is a 100million standard cubic feet per day (mmscf/d) capacity gas plant with fractionation and Liquefied Petroleum Gas (LPG) dispensing units. The gas plant has an obligation to supply 45mmscfd of gas to the 450 megawatts capacity Ihovbor Power Plant built under the National Integrated Power Project (NIPP) in Edo State and additional 55mmscfd to the domestic market through the Escravos Lagos Pipeline System (ELPS) by March 2013. With the completion of the IGHF, NPDC now supplies the domestic market with about 400 million standard cubic feet of gas per day. This feat has catapulted NPDC to the position of the fifth largest oil producer in Nigeria, positioning the NPDC to take a leading role in the Federal Government’s quest to rapidly increase gas supply to power stations and other domestic uses. By the end of 2013, the integrated gas handling facility which will deliver 100mmscf/day of lean gas and about 330 tonnes of Liquefied Petroleum Gas (LPG) yearly to domestic consumers will have been completed by all expectations. Shortage of technical expertise and lack of access to international capital have made it increasingly difficult for most indigenous companies to compete with foreign giants in major upstream projects, particularly oilfield services projects, engineering, construction works and seabed-to-surface projects. With inadequate indigenous skills, coupled with lack of access to international funding, indigenous firms have been restricted to small projects, which are considered sub-optimal by the deep-pocket multinational players. The larger chunk of Nigeria’s oil and gas contracts are executed by these foreign companies, which have limitless access to international funding and expertise. Only a few indigenous firms have proved their mettle and have joined the league of operators in execution of oil and gas services projects and one of such companies is OBAX, an emerging leader in the delivery of engineering, procurement, construction, installation and commissioning services in the oil and gas industry. In March 2011, Obax completed the Early Production Facility (EPF) at Oredo flow station, which was designed to process and purify crude oil. The process ensures that gas and water are filtered from the oil, making it ready for exportation. The EPF has the capacity to produce 10,000 barrels per day of crude oil and 70mmscf of gas per day. From August 2011 when the EPF commenced production, it has produced 1, 474,053.42 barrels of purified crude oil and 4,473,059.52mmscf of gas. THISDAY gathered that the EPF has made it possible for the NPDC to generate revenue from the oil wells faster than it would have generated if a flow station had been used. The EPF, which was completed by nearly 100per cent local team, is still being operated and maintained by OBAX and its team of well-trained Nigerian engineers and technicians. Due to its commitment to the delivery of excellent services promptly, OBAX was awarded other projects by the NPDC at the Oredo flow station, which it executed and completed on schedule. Some of the projects include the relocation and fabrication of 6-inch firewater pipeline; fabrication of two 20,000 barrels of a crude oil storage tank; dismantling and reinstallation of an 8-inch flare line; provision and installation of level controllers for Oredo flow station; tie-in of the Oredo flow station manifold drain line to the EPF drain chamber and tie-in of Oredo flow station pressure safety valves relief header to the EPF flare system. Other projects include, provision and installation of 12 pressure gauges at the Oredo flow station manifold; provision of additional isolation valves on the delivery lines upstream of the Oredo 2 x 20,000 barrels storage tank; provision and installation of four 3-inch class 600 plug valves and associated works and services on the 11S string on the Oredo flow station manifold and fabrication; and installation of pipe spools and a tank drain line. OBAX has an efficient and reliable fabrication and construction workshop in the United States, and a procurement office for all major equipment sourcing not available in Nigeria. OBAX’s oil and gas facility which is situated on over 50 hectares of land at Ologbo in Edo State, has several divisions which includes Electrical and Instrumentation, Mechanical and piping, Civil, Marine Engineering, Drilling, Sand Dredging, Quarry, Well testing and Heavy Duty Equipment Leasing. OBAX’s continuous delivery of excellent services to the global oil and gas industry has given it access to international funding and support. In a rare show of confidence in the ability of a Nigerian oil and gas firm, Wright Capital Corporation of the United States is offering a financing commitment in excess of $100 million to OBAX, to enable it execute all its contracts and projects in Africa . In over 40 years, Wright Capital Corporation has offered financing solutions and support to different sectors of industries in the United States, North America as well as international companies such as OBAX. The financing commitment to OBAX is a demonstration of the company’s confidence in the ability of OBAX to deliver world-class services. With the expertise of its well-trained professionals, its commitment to excellent service delivery and financial support commitment from local, international banks and private equity financial institutions in excess of $1billion, OBAX is well-positioned to execute and deliver any contracts and acquisition of projects in Africa.